What a wonderful way to save John’s nice wooly socks, by giving him them new bottoms. Congratulations on getting them done, and I’m sure John is delighted! Great save for those socks! 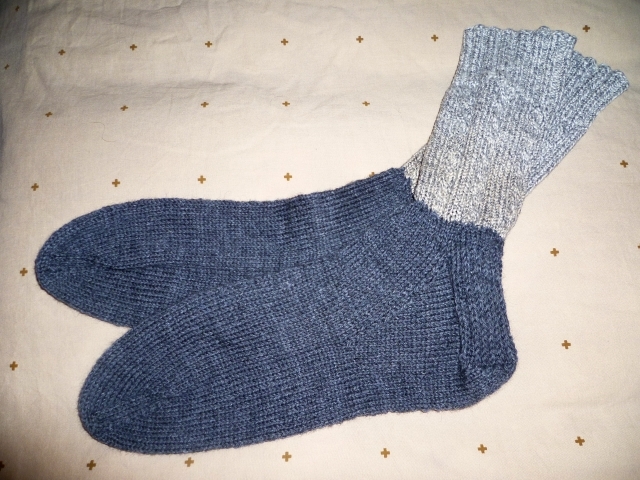 I made my guy a pair of fingerless mitts out of the tops of his worn-out handknit socks. He wears them too! I also love my thread catchers. 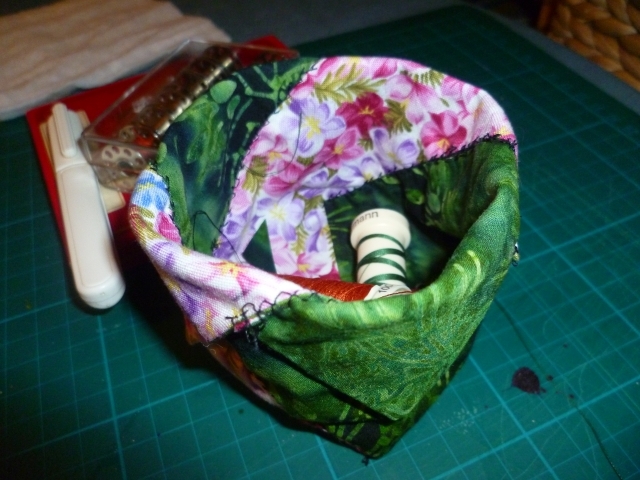 I have 2: one at the sewing machine and one at the serger. Don’t know how I ever did without them.